Last week I had a group of friends that I met while studying abroad staying with me, and then we were lucky enough to head back to Paris for a super romantic rendez-vous. Before getting on the plane I felt weirdly nervous, like the way one might feel before reuniting with an ex-boyfriend. 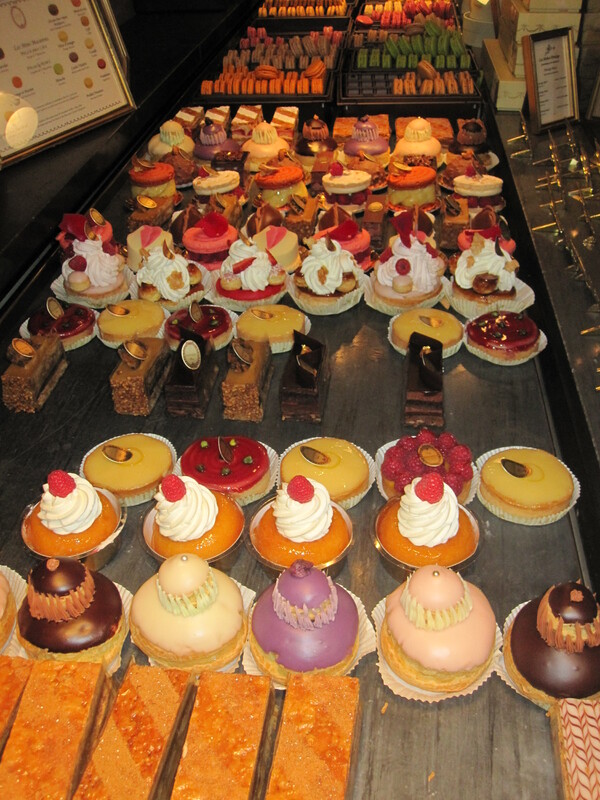 My time spent in Paris was … too important to me to even begin to describe here. I still haven’t fallen in love with another place the way I did with Paris, and I suddenly had all these doubts, like maybe it wouldn’t be as amazing as I remembered it, or maybe it had changed, or maybe I had changed, who knows. We arrived at the airport and hopped on the metro, and for a solid hour I couldn’t stop smiling. The smell of the metro was still exactly the same, and instantly I was taken back to 2007, the way my 20 year old self felt, on my own for the first time across the Atlantic. I don’t even think when I was studying there that I knew the metro had a smell, but it definitely does, and it’s instantly recognizable, like a familiar cologne. Except this smells more like pee, but you know what I mean. Galette complète/ cidre lunch combo, nom. We arrived at our lovely hotel near the Eiffel Tour to drop off our bags, and immediately headed to the Promenade Plantée in our old hood to attempt to eat dinner at one of our favorite haunts, Le Refuge. Sadly, Le Refuge is now something entirely different, but I still ate some amazing boeuf and frites, and topped it off with this incredible warm chocolate tart smothered in a salted caramel sauce and vanilla gelato for dessert. This was the start of our 5000 kcal a day diet, so get ready to hear about food, food and more food, because that’s basically what we planned our trip around. That night we went to what might be my favorite bar in the entire world, Favela Chic. Being there is like being at a big fun wedding, they play great music, everyone is happy and dancing outrageously and likes to sing along to every single song even when they don’t really know the words. 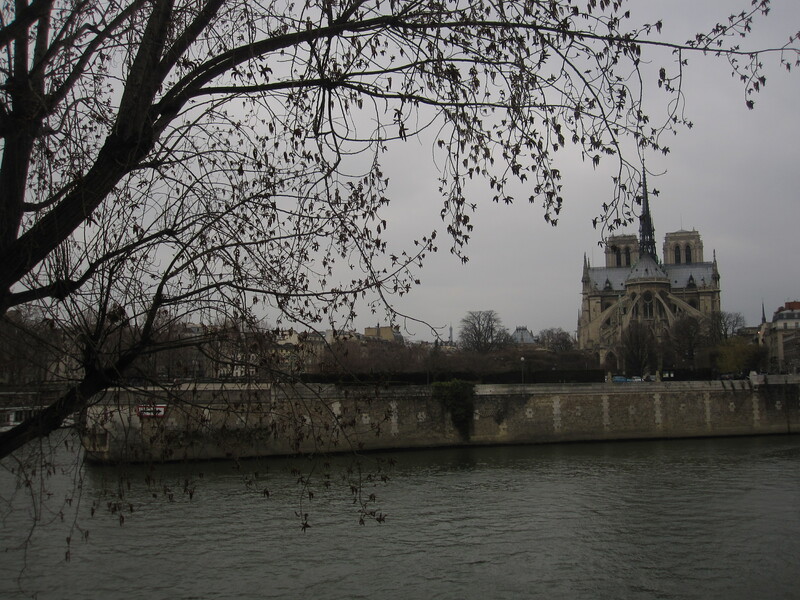 The next day we overslept, and after a perfect croissant, we headed towards the Seine and the Île Saint-Louis for lunch at our favorite prefix restaurant. Despite being stuffed after my three cheese quiche, galette complète, and sugar/ butter crêpe, La Creperie happens to be located right across from Berthillon, so I somehow managed to also stuff a scoop of salted caramel ice cream down my gueule. From there we made our way towards the Luxembourg Gardens, stopping along the way for a coffee. 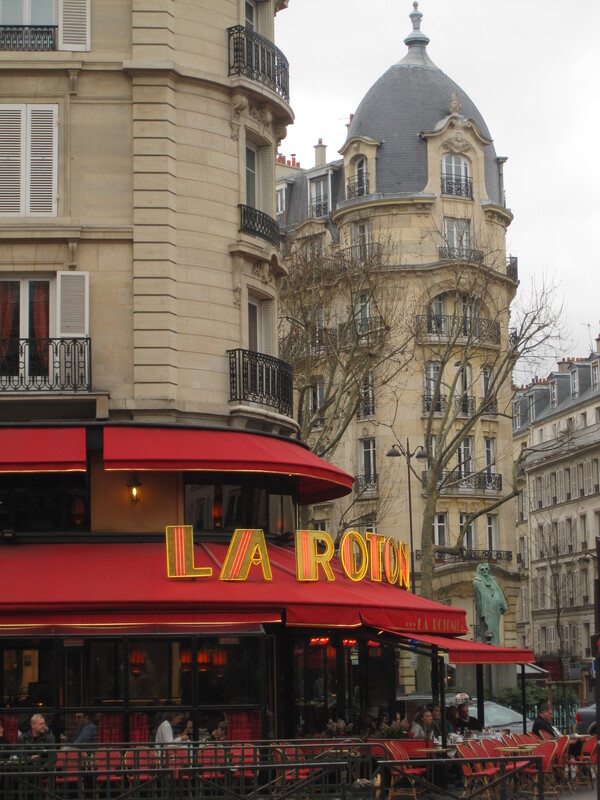 The beauty of Paris is that walking is the half of the fun, the city itself is so picturesque, I couldn’t be happier just strolling while admiring the buildings and boulevards, window shopping and people watching. 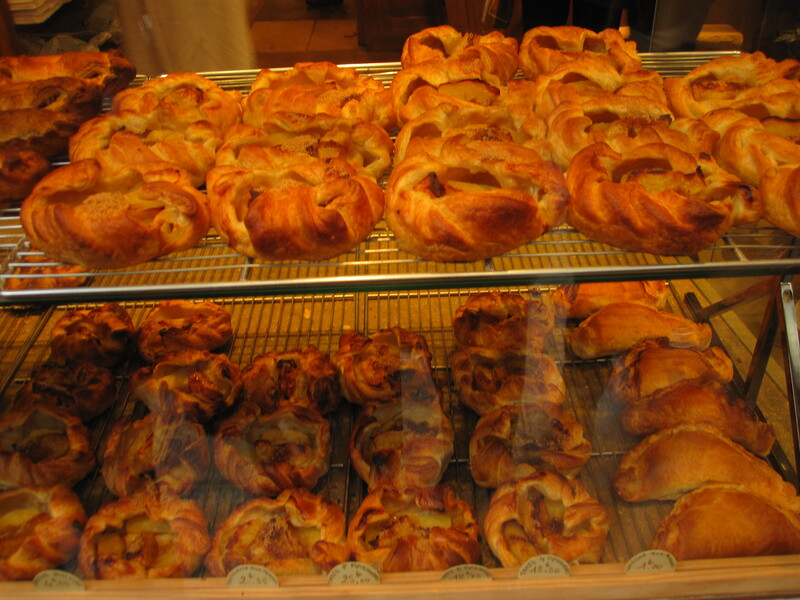 We continued our walk over to Poilâne to indulge in some of their perfect apple tarts, and I was happy to discover it was just as good, if not better, than I remembered. That night we went back to our old neighborhood near La Bastille, to visit our favorite going-out street from back in the day, Rue de Lappe. At dinner I somehow ate all of the baby-sized portion of lasagna I was served, and finally got up the courage to try the girls’ beef tartare. It actually was kind of yummy, once you get over how it looks. After learning that all of our favorite bartenders were no longer around to hook us up with free drinks, we found a new fun bar that somehow we had missed before. Bastide has been there since the 70’s, and was full of extremely friendly locals who come every night to enjoy the records, cheap pints, and ridiculously strong house cocktails, made of mint and moonshine. Shame we never found it before, like I said, everyone was just so nice and so patient with our terrible french. 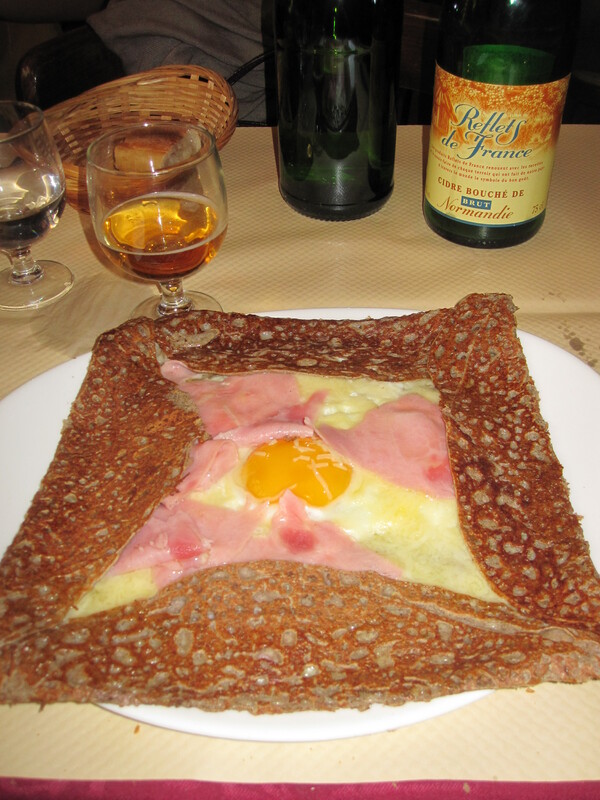 The next day we walked to Boulevard Montparnasse to re-visit my favorite brasserie, La Coupole. I was a stereotype and thoroughly enjoyed my goat cheese salad, french onion soup, and creme brulee. 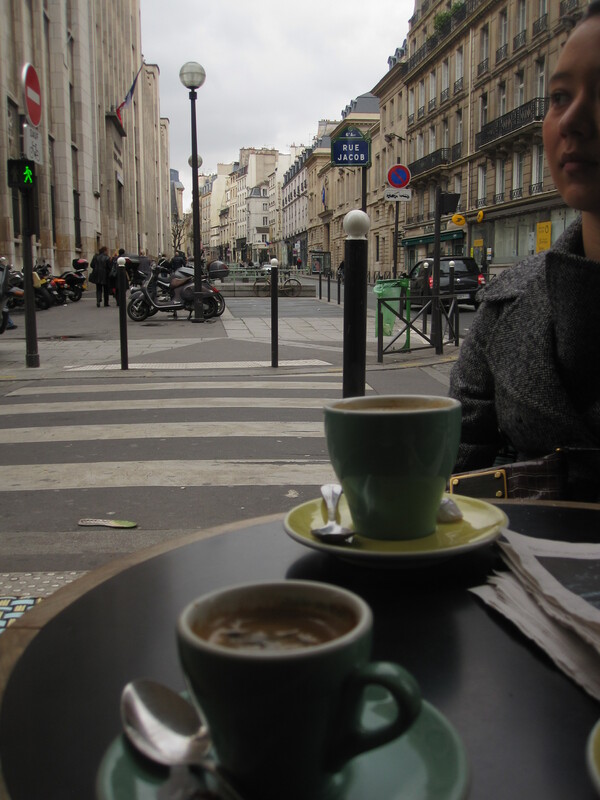 Afterward we walked around my favorite neighborhood, St. Germain, pausing to watch a six man street band, and for yet another coffee. I ended my trip with a visit to Ladurée to admire their pastries/ macarons, that somehow actually taste even better than they look. I could only afford one raspberry macaron, but those three little bites were totally worth my €1.60. It was sad to say goodbye to Paris again, to me it remains the most magical city in the world, and now that I’ve been back again, I can’t believe I ever considered cheating on it. Sounds like a tough life, chica! I saw your mom & pops at Chelsey & Bracken’s wedding Open House thingy. Poor Julie didn’t really want to talk about you cuz she misses you sooooo much. 8/ I’ll try to post a pic on here, if I can figure it out…….. still trying…..mehhhhh. You’ll just have to go to my blog. http://www.vernasworld-vee.blogspot.com/ I’ll be putting up more pics after I get the ones Dan took. Don’t have too much fun without your Vernie. Ok, you can, If I can live vicariously through you. Hey! You! Hey! I got married! To Bracken! We’re married! I’m Mrs. Rawlings. :) So who needs Paris when you could come to beautiful, picturesque Orem, Uta…..I can’t even finish that sentence due to it being complete crap. As always, I’m jealous of your fabulous travels and miss yooouuu!